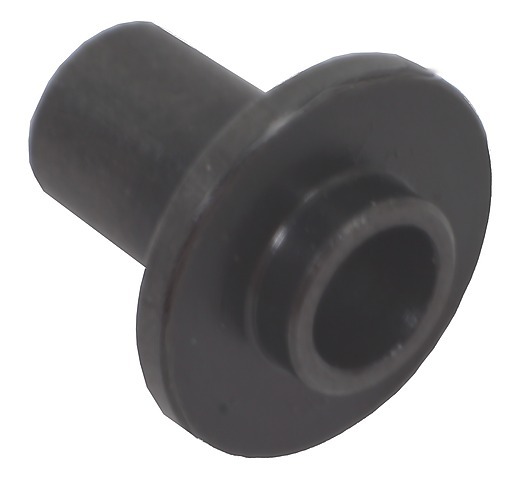 MKII Hammer Bushing manufactured by screw machine equipment. The hammer pivot pin hole has been drilled & reamed for improved precision to help eliminate variances that can be found in the factory bushing. Black oxide finish and hardened. Replaces factory part #A02505. I hated that mag safety. I installed this in addition to your MK II accurizing kit to my MK III 22-45. This is a must have to improve your MK III. Now when I push the mag release, it flys out, like it should. Top rating for your quality products and Fast free shipping. If you have the MarkIII with the mag safety, get this. 100% better. Put this bushing in my mklll 22/45 thread barrel to replace that mag safety, now the mags fly out, like they do in my glock. Thanks again Rimfiresports, great service!! This should be the first part to start with for any Mark II or Mark III owner. I have it for each mine and it has improved both considerably! Great product. I will eventially install them in all my 5 pistols.